Q: What do you call a chiropractor, an osteopath and a physiotherapist in one place? 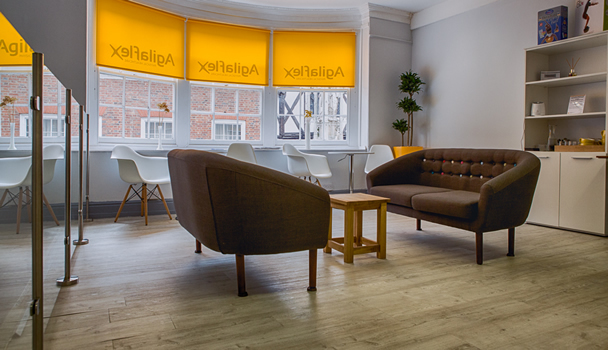 Agilaflex is the the first practice in Hampshire to bring together the three branches of manual therapy into one team - and also one of the first clinics in the UK to take a multi-practitioner approach to your treatment. Our patients tell us they love our approach. Located in the heart of the City of Winchester, Agilaflex is easily accessible, whether you are travelling by foot, car or public transport. When you arrive at Agilaflex you will be greeted by one of our very approachable reception team who will be able to answer any general questions you may have about your appointment. After checking in, you will be offered a selection of refreshments whilst waiting for your appointment in our comfortable and relaxed reception room. As a private practice we provide a service that give you the time you need. However, this doesn't translate into inflated treatment fees. Our aim is to deliver a service that far exceeds the healthcare norm, and we are committed to driving the profession forward by raising standards and offering more to our clients. 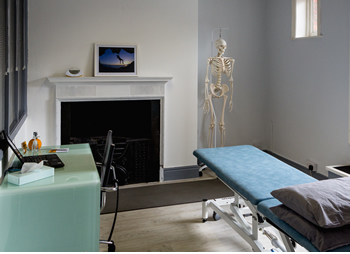 Agilaflex's treatment rooms are equipped with the latest Atlas© treatment tables and X-ray facilities, enabling us to provide you with the absolute best in diagnosis and care for your back, neck or joint problem. Our aim always is to get you back to doing the things you want as quickly as possible - whether that is putting your socks on or putting in a round on the golf course.